A Mediterranean-style diet pattern was associated with reduced risk of frailty syndrome in older women with type 2 diabetes. Elderberries are a potential source of bioactive compounds for formulations to be used as co-adjuvants in diabetes management. Extracts of Nettle may decrease risk factors of cardiovascular incidence and other complications in patients with diabetes mellitus. Oligonol attenuates gluco-lipotoxicity-mediated renal disorder in type 2 diabetic mice. Plain water intake was associated with lower HbA1c in men but not in women. Potential use of bitter melon derived compounds as antidiabetics. 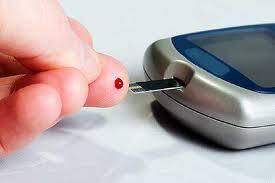 Puerarin shows a protective effect on the T2DM caused oxidative damage. Resveratrol supplementation increased PTX3 and TAS levels in a dose-dependent manner in T2DM patients. This review recapitulates previous work on dandelion and its potential for the treatment and prevention of T2D.